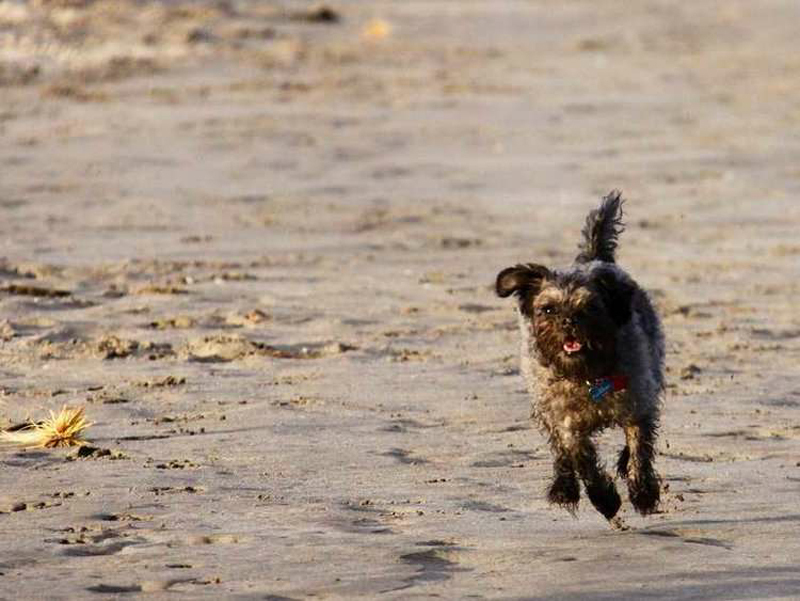 Small dogs are apartment-friendly and full of personality. 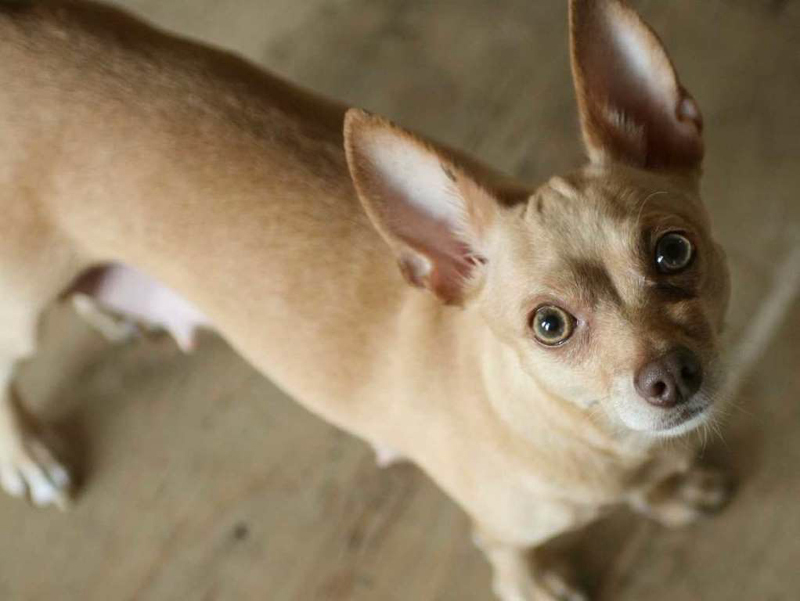 From pugs to chihuahuas, here are some of the smallest dog breeds in the world. Pugs and Yorkshire Terriers are both typically under 13 inches tall. Pomeranians, Brussels Griffons, and toy poodles are small dog breeds. Chihuahuas are the smallest dog breed. Although they may not take up much space, small dogs can have giant personalities and are perfectly sized for cramped living quarters. The pint-sized pooches below are some of the tiniest canines in existence. Based on data from the American Kennel Club (AKC), here are 15 of the smallest dog breeds in the world. Russian Toy Terriers have striking ears and long legs. Yorkshire Terriers have beautiful silky coats. 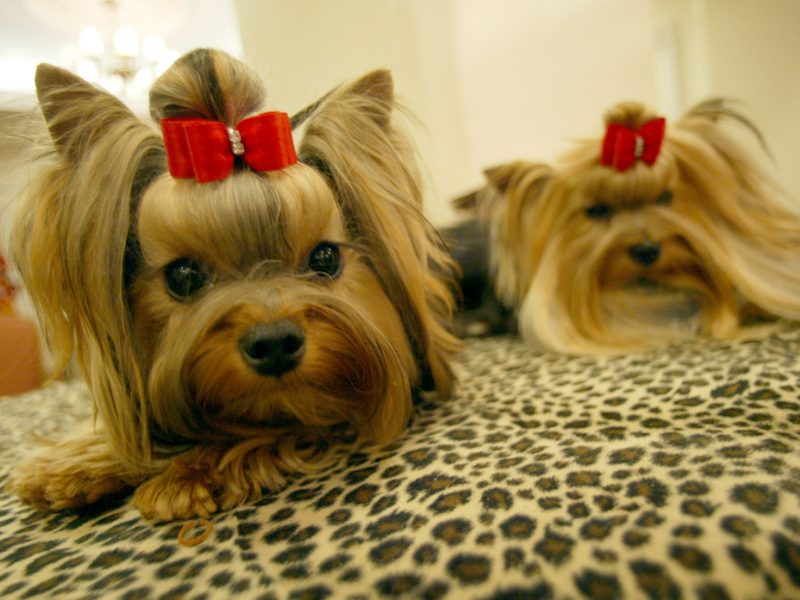 "Yorkies" are known for their glossy long coats and feisty temperaments. According to the AKC, they typically weigh under seven pounds and stand about seven to eight inches at the shoulder. Yorkshire Terriers are popular pets among apartment dwellers due to their small size. Their coats are actually hypoallergenic and more similar to human hair than animal fur. 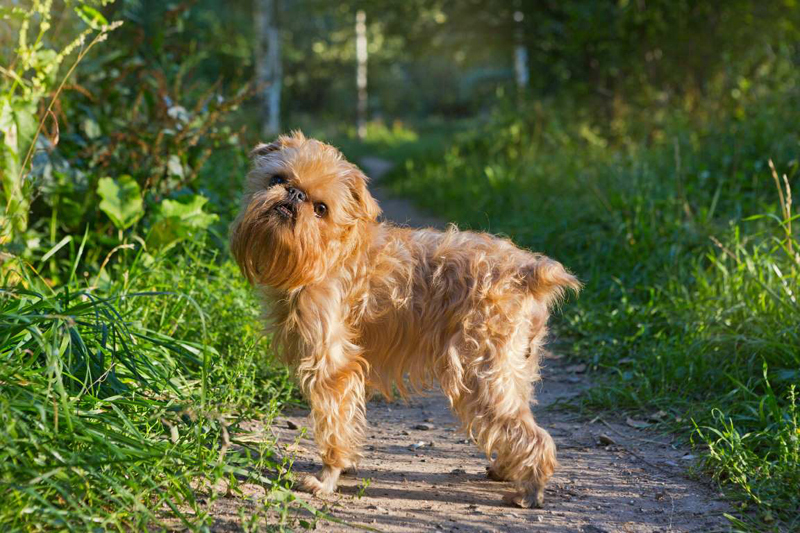 According to the AKC, Affenpinschers are often called "monkey dogs" and are sometimes said to resemble Wookies or Ewoks from "Star Wars." They usually weigh between seven and 10 pounds and stand around nine to 12 inches at the shoulder. Affenpinschers are known for being extremely outgoing and friendly. 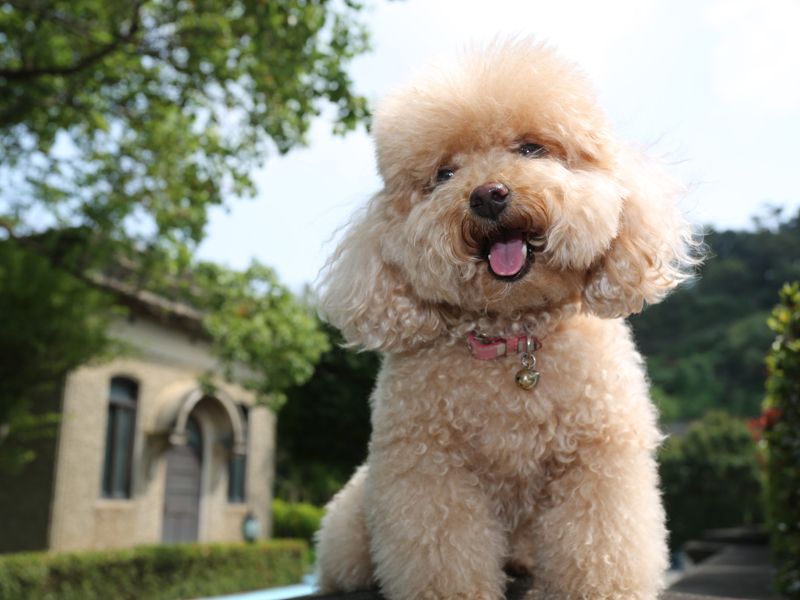 Poodles come in a variety of sizes, but toy poodles typically stand no more than 10 inches at the shoulder and they typically weigh between four and six pounds, according to the AKC. These little dogs can live up to 18 years and are popular show dogs due to their fluffy coats and spirited personalities. Those magnificent coats do require specialty grooming and frequent brushing; many owners opt to have them professionally clipped every four to six weeks. Maltese have show-stopping coats and charming natures. Shih Tzu have long coats and are sometimes called "lion dogs." These fancy-looking pups originally hail from China and have long, opulent coats. 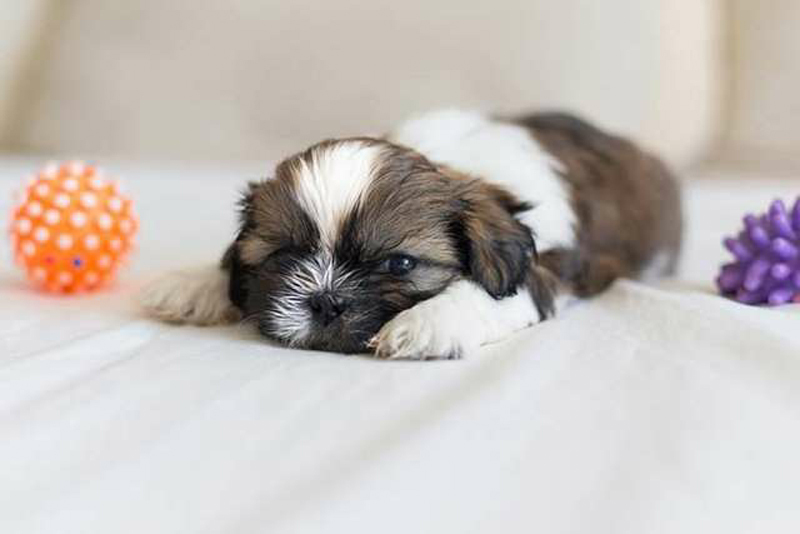 According to the AKC, Shih Tzu usually weigh between nine and 16 pounds and stand between nine and 10.5 inches at the shoulder. This breed is well-suited to small homes or apartments as they don't need much exercise and love to snuggle. The Japanese Chin is a silky and quiet breed. 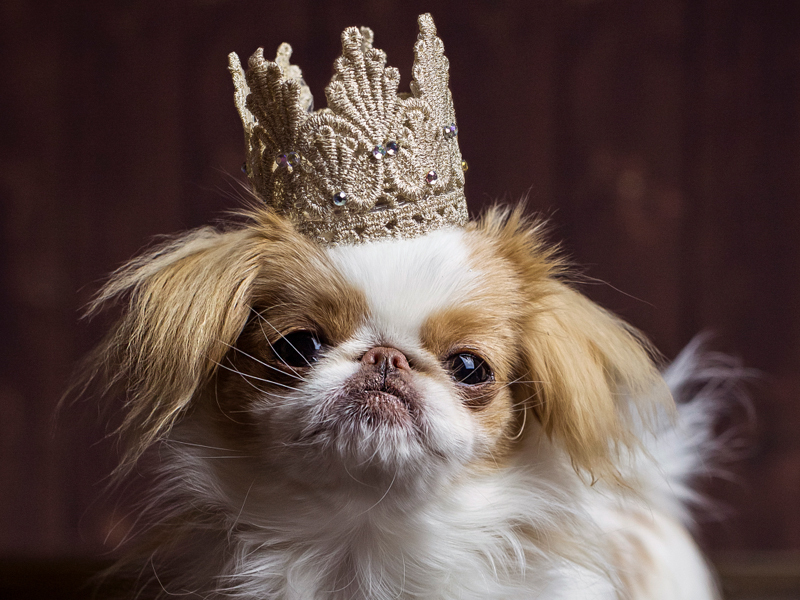 According to the AKC, Japanese Chin are most comfortable when indoors and are generally quiet and docile. They typically weigh between seven and 11 pounds and stand about eight to 11 inches at the shoulder. Their exotic appearance and compact faces give them an aristocratic image and they need weekly brushing to keep their coats in good shape. Pugs are great house dogs with signature snouts. 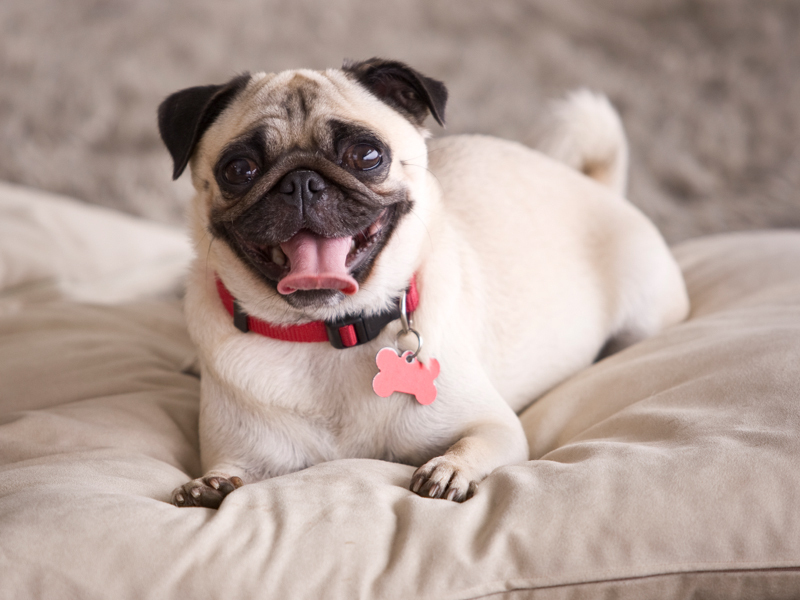 One of the most recognizable dog breeds, the AKC reported that most pugs weigh around 14 to 18 pounds and stand approximately 10 to 13 inches at the shoulder. They are an ancient breed that has been around for more than 2,000 years and they were supposedly popular pets among the royal families of ancient China. 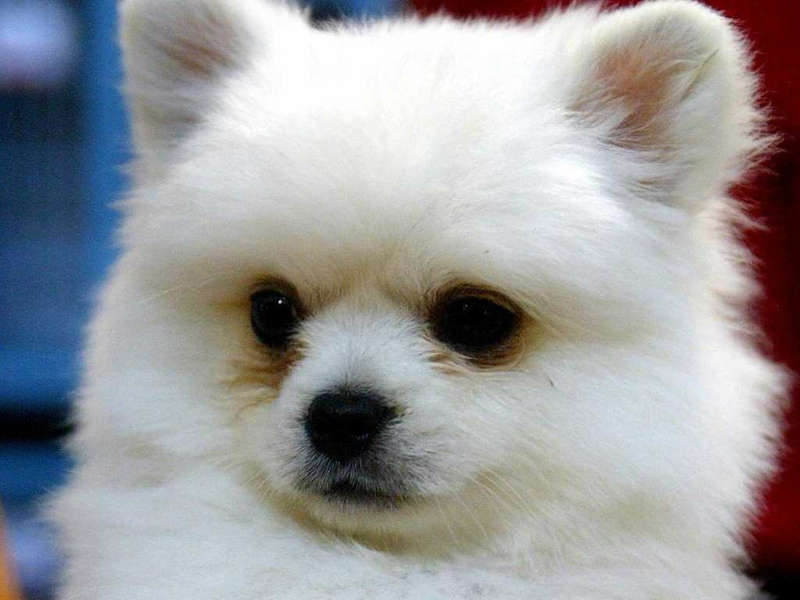 Pomeranians are popular small dogs with bright personalities. These fluffy pooches have vivacious personalities and luxurious coats, which may explain why the AKC reported them to be among the most popular toy breeds in the world. Pomeranians usually weigh between three and seven pounds and stand between six to seven inches at the shoulder. Their plush coats require thorough brushings a few times a week. Papillons are elegant and alert dogs. The AKC reports that the average Papillon weighs between five and 10 pounds and stands between eight and 11 inches at the shoulder. 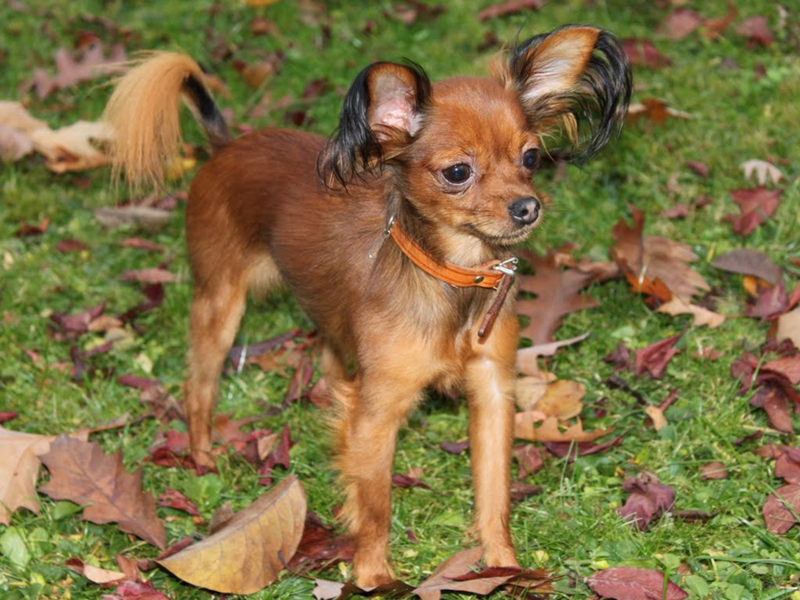 The breed's name actually means "butterfly" in French, a nod to the Papillon's plumed ears. 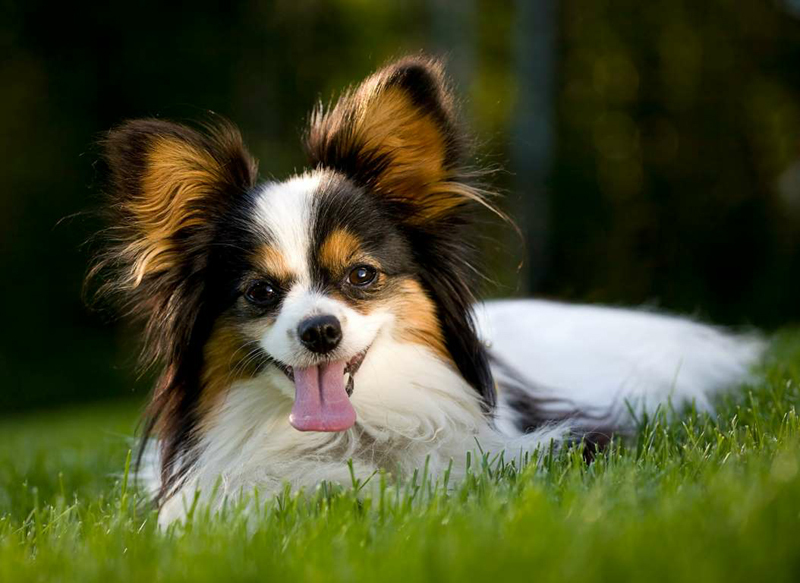 The Papillon is sometimes confused with the Chihuahua - both breeds have large pointed ears and short snouts - but they actually have distinct personalities that are all their own. Although Papillon coats look impressive, they only require a weekly brushing to stay looking their best. The French Bulldog is one of the world’s most popular small dog breeds. "Frenchies" are known for their big personalities, friendly dispositions, and bat-like ears. According to the AKC, most French Bulldogs weigh under 28 pounds and stand about 11 to 13 inches tall. They don't require much outdoor exercise and get along well with families and children. Boston Terriers have "tuxedo" coats. 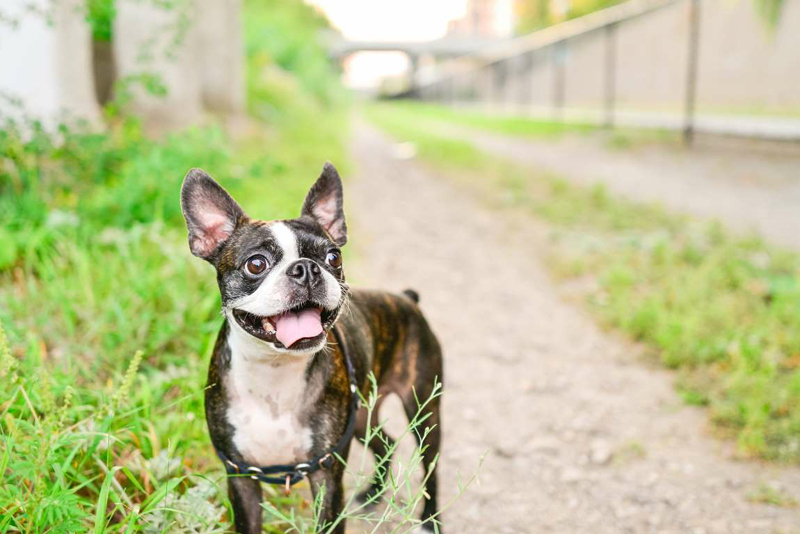 Boston Terriers are popular small dogs that usually weigh around 12 to 25 pounds and stand about 15 to 17 inches at the shoulder. According to the AKC, they are lively companions that are good urban pets due to their alertness and love of brisk walks. Their short coats mean that they only need an occasional bath and aren't heavy shedders. The Brussels Griffon is a tiny dog with a bearded snout. This small breed usually weighs in at between eight and 10 pounds and stands seven to 10 inches at the shoulder, according to the AKC. They are sensitive and devoted dogs that some describe as looking almost human due to their large, emotive eyes and beard face. 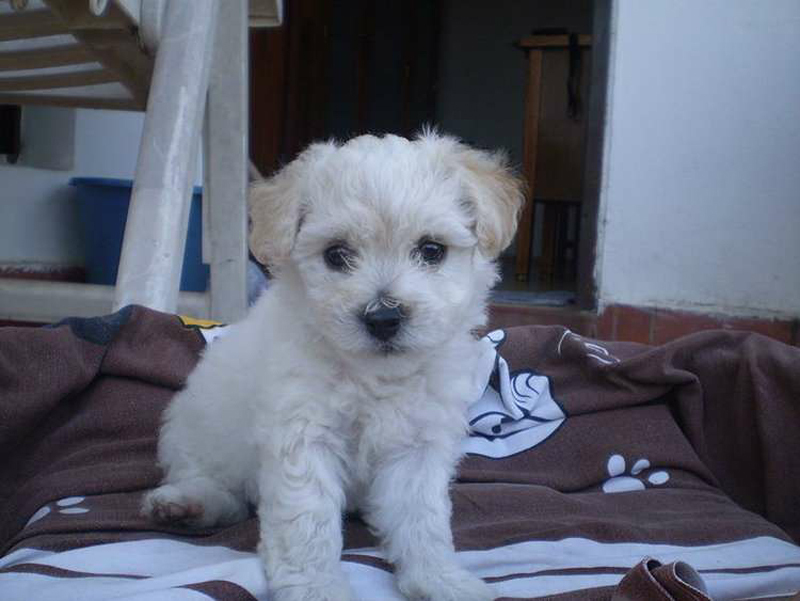 The Bichon Frise is a playful and fluffy dog. The AKC reported that the average Bichon Frise usually weighs between 12 and 18 pounds and stands just under 12 inches at the shoulder. 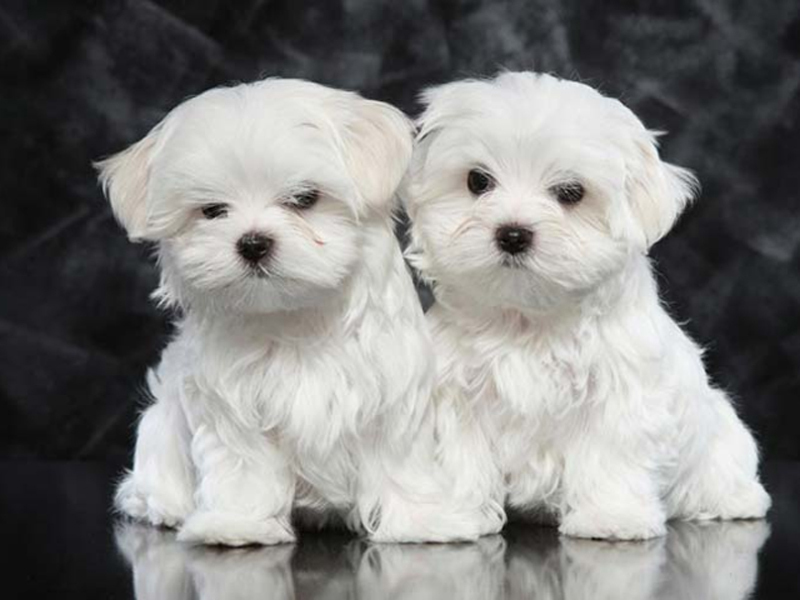 These dogs have puffy white coats that are actually hypoallergenic and bright, playful personalities. Chihuahuas are the smallest dog breed in the world. These tiny dogs are the smallest in the world, usually weighing less than six pounds and standing about five to eight inches at the shoulder, per the AKC. But don't be fooled by their reputation as pampered purse dogs; Chihuahuas are actually one of the oldest dog breeds in the Americas and they are famously long-lived, with many surviving up to 16 years of age.